Daily Bitcoin News > Cryptocurrency News > Drug Barons, Rogue States and Terror Groups Use Banks – Can Blockchain Stop Them? Scathing reports by regulators have accused traditional banks of inadvertently helping “drug kingpins and rogue nations” – enabling them to commit money laundering, make questionable transfers and evade economic sanctions and taxes. Come 2012, HSBC was in hot water and fined almost $2 billion because it had failed to prevent criminals from using its infrastructure. Its division in Mexico had inadequate money laundering controls, with a US senate committee report accusing it of being reluctant to close suspicious accounts. The report also concluded it had circumvented strict rules to do business with the likes of Iran, North Korea and Burma, which the US defines as “rogue states.” Two of HSBC’s divisions were found to be altering transaction details to remove references to one forbidden nation. On top of this, it was claimed HSBC had links to organizations that funded terrorism. A blockchain financial technology startup has pointed to these examples – as well as several others – as proof that current regulatory regimes are not working as they should be, and compliance is patchy. 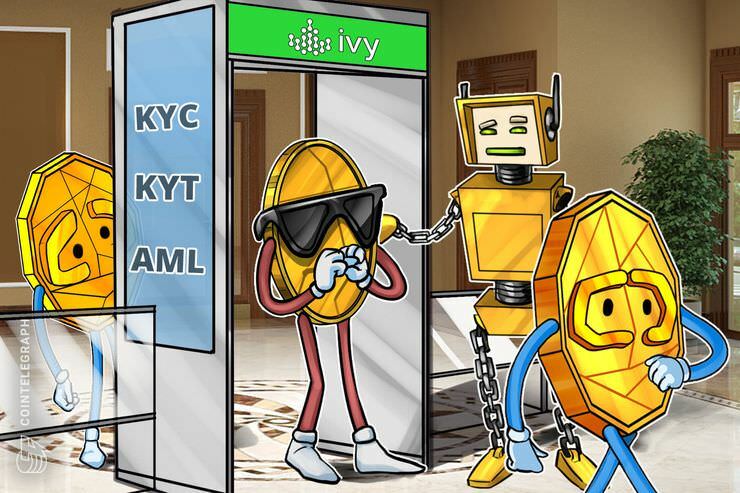 The Ivy Network says the know-your-customer (KYC) and know-your -transaction (KYT) checks on its platform have the potential to be better than what banks currently use, speeding up transactions without increasing costs or reducing transparency. KYC checks are often used to help both parties in a transaction ensure they comply with regulators and avoid intentional or unintentional involvement in major financial crimes such as money laundering. For financial institutions, this normally involves verifying the identity papers of customers, checking their name against blacklists, examining their risk of committing crimes such as identity theft or money laundering, and monitoring transactions for suspicious activity. Meanwhile, KYT checks provide granular details on individual transactions – ensuring that ever-stringent financial and legal obligations are met. According to the Ivy Network, it can offer 74 know your customer” data points and more than 120 “know your transaction” data points. Although the company concedes cryptocurrency is an “unknown for many people and traditional institutions,” it believes that the transparent and thorough nature of blockchain’s infrastructure can give everyone greater peace of mind. Ivy says it offers several advantages over traditional payment networks, in addition to rival cryptocurrencies. Its infrastructure enables more KYC and KYT data to be embedded into a transaction when compared with old-fashioned financial institutions, which in theory can make it harder for illegal activities to be carried out for all parties. In an attempt to reach out to these legacy brands, the startup says its systems can be integrated into existing banking systems – and embedded into software that’s used for accounting purposes. From a cryptocurrency perspective, the Ivy Network, Ivy’s flagship product, believes it offers “architectural improvements” over Ripple, its closest rival. This is because KYC and KYT checks, as well as anti-money laundering mechanisms, are not included in Ripple’s core design – and in any case, such data is not associated with digital currency. A token generation event for Ivy, the native token on the network, took place in the first half of 2018. Looking ahead to the rest of the year, it is building a live test network and working to forge key partnerships with financial institutions interested in trying out its beta product. Fiat and crypto conversions have gone live with IvyPay, paving the way for a minimal viable product to be fully developed.